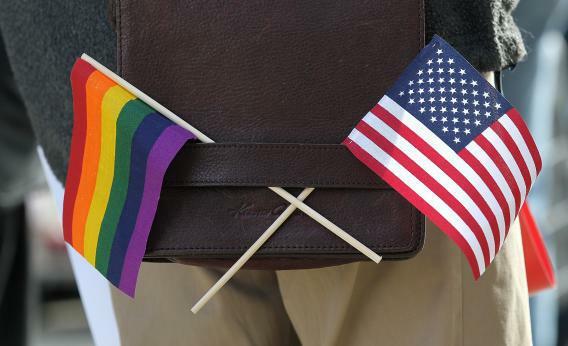 National Coming Out Day: I wish I had told my grandparents sooner. When Merle Miller came out in the pages of the New York Times Magazine in 1971, he risked a great deal. Though firmly established as a journalist and author at the age of 53, Miller could have easily lost his career, social connections, and even personal safety by stepping out of the closet into the early light of the gay liberation movement. But the hateful ignorance he saw around him—especially in his own supposedly “progressive” friends—demanded a corrective. Two years removed from the Stonewall Rebellion of 1969, changing minds was worth the risk. On this National Coming Out Day, four decades after the essay appeared, Miller’s “stifling air” still lingers over many LGBT people, straining relationships and dampening affections that might otherwise thrive if we could just throw open the closet doors. In a moment where gay marriage and other equally important civil rights feel within reach, it’s easy for those of us who aren’t totally out to almost forget that the cloud is still there. We move away from home to big, welcoming cities or liberal enclaves; we create new families from friends and lovers; we establish ourselves professionally, politically and socially, and hear on the news that the recognition of our worth as human beings is inevitable. We are happy and out, mostly—at least until Christmas, or birthdays, or some other occasion that forces us to reconnect with those we have left in the fog. Growing up in small-town South Carolina, my grandparents and I couldn’t have been closer. One of my earliest memories is of my grandma picking me up from elementary school and taking me to a local park for the afternoon. She would always have a pack of Captain’s Wafers and a Pepsi waiting for me in the car, which ensured that I was a chubby kid, but also a smiling one. She and my Paw Paw were intimately involved in my life, and I felt sad for kids whose grandparents lived far away. But as I grew older and became more aware of my sexuality, I added enough emotional distance between us to overcome any geographic advantage we may have enjoyed. This wasn’t really in response to any overt homophobia on my grandparents’ part, but rather a general sense that my emerging orientation would just not play well. And so, by the time I was in college in New York, at which point I was out to myself and to my mother (dad came later), I had reduced a rich and loving relationship to a few awkward, perfunctory phone calls per year. So much of my life involved my gayness—boyfriends, of course, but also friends, social events, clubs, vacations, schoolwork, etc.—that I feared that sharing even a little would release the deluge of everything else. The stifling air of the closet transformed what was once genuine closeness into strained cordiality. Boyfriends became roommates, holidays spent away from home went unexplained, and the hurt turned into a passive numbness for all involved. And things may well have continued on that way were it not for the Internet. One evening, during a trip to Barcelona with Cam, my partner of three years, I answered a call from my mother over Skype to hear the dreaded words: “Your grandmother knows.” I guessed the source without much help: She had figured out how to read my writing, which occasionally referenced my sexuality, online. That was about four months ago. A few weeks ago, I went home for a wedding, and Cam came along. Grandma insisted on meeting him at her house. She fed us Carolina barbeque and potato salad and sweet tea, and I think she was more nervous about making a good impression on Cam than we were about gaining her approval. At the end of the visit, she hugged us both, and just before leaving, teary-eyed, she pulled me aside to tell me what had been stifling for her all these years: She and my grandfather didn’t care about my being gay—what had worried them most was thinking that I was all alone. Miller wrote that “in general, mothers turn out to be sturdier than you think.” Grandmothers too, apparently. I’m sure it won’t be all easy from here—Cam’s coming to Grandma’s epic Christmas celebration this year and will have to learn the proper order of things. But now that we’re all out of the closet, at least one thing is clear: We will be a lot more comfortable, a lot less cramped.